One Creative Housewife: Best Use For A Kitchen Aid Mixer EVER!!! I hate shredding chicken! Actually, that is an understatement. I despise shredding chicken! I came across this tip from Simply Healthy Family and couldn't believe my eyes. Could using my Kitchen Aid mixer to shred chicken breast really work????? All you need to do is cook your chicken breast. While the chicken is still hot or warm toss it into your mixer bowl, and attach the flat beater attachment. Once you are set up, turn your mixer on to speed 4 or 6. 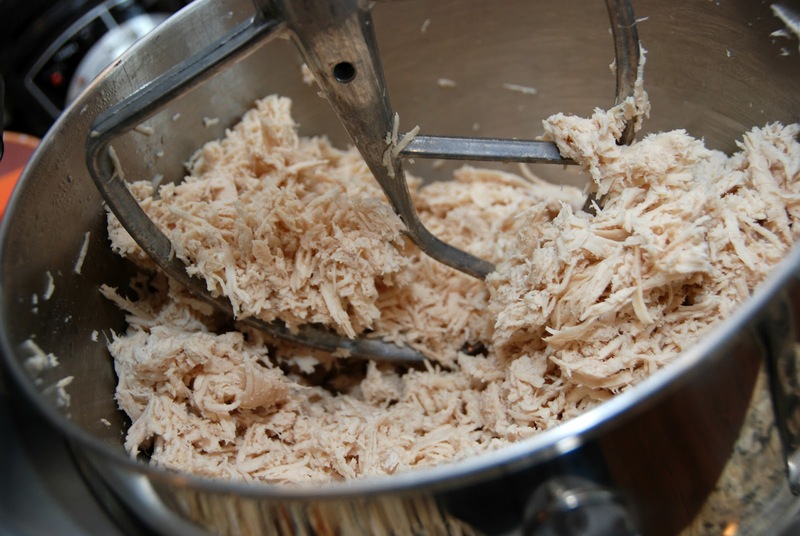 In about 1 minute you will have perfectly shredded chicken! This is an amazing time saving trick. 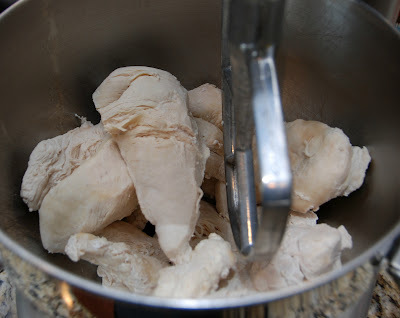 It usually takes me 40-60 minutes to shred this amount of chicken, so this saved me 39-59 minutes of prep time! Now that I can shred chicken breast this quickly, I know shredded chicken dishes will be making more appearances in my menu planning! Tomorrow I will show you what I used the shredded chicken for. I love ideas like this! I really dislike shredding chicken but this would make it so quick and easy. Very smart! Thank you! and Thanks for the invite, will do!